Over the weekend, I’ve talked at the ChaosBBQ in Dortmund, Germany. A nice and small conferency gathering. The filter stuff is actually more complex than I initially thought: I do indeed have to handle async USB URBs which makes the code look more ugly and taste more like spaghetti. Anyway, the filter stuff should fully work now *yay*. I hope the video works. If it doesn’t, please download first. So we can replace packets on the fly, in and out. And of course, you could design a more complex scenario: Let the first read pass by unmodified but after that modify the packets. ﻿﻿Read a bit in “Essential Linux Device Drivers” which is an interesting to read book. I like the relaxed writing style. I haven’t gotten to the nitty gritty USB details yet though. Wireshark can sniff USB communication, too. And it can save as a pcap file. And it dissects bits of the protocols. At least it shows the SCSI request for an USB Massstorage. I have to test whether it knows, say, webcams. First investigations show that it only supports USB Massstorage though. And it’d be interesting whether it can sniff the communication I’m filtering with QEmu. So I might be able to implement saving to PCap at some stage. Next week will be GUADEC! *yay* But that will also mean that I can’t work that much. So my emulation seems to work now, too. I now need to speak the right protocol. So if you know a good resource that describes how a, say, USB Webcam behaves on the bus, drop me a line. Or anything that can dissect USB packets would be fine. Fought a lot with git It’s incredibly hostile. I tried to rebase stuff and it keeps bugging me with old commits still being visible although I’ve changed them I probably haven’t understood what it does yet. Tried to fix as much as possible using git reflog. Of course, the man page references options (–verbose in my case) that are not existant. Brilliant. I don’t know why I actually expected git to help me. # O_o WTF? What else, besides aborting, could I possibly do anyway?! Reimplemented host side USB filters to obtain valid USB communication. I have various simple filters: PassThrough, Logging and Replacing. The first one does nothing but return the data w/o any modification. The second one writes the bytes it reads and writes to files. The third one replaces 512 “A”s with 512 “B”s. Still need separate packets from the device in question to the host from packets from the host to the device to obtain valid device behaviour without reading all of the documentation. That will give me a good starting point to actually do the fuzzing. That replace filter produced interesting results. I replaced every “A” transmitted by a “B”. On the host, I created a file on a mass storage with 4KB “A”s. When “cat”ting the file from the guest, I saw “A”s. But copying the file in the guest resulted in the new file having all “B”s. I expected the “cat” showing all “B”s, too. And as far as I can see, the “A”s are actually replaced for the “cat”. Of course, Istanbul crashed while trying to make that screencast. Note that the filter code actually changed by now, not only because I enhanced the protocol (in the version you’re seeing, only USB payload is exchanged. In the new version, also the PID, device address and device endpoint are filtered) but also because I refactored the communication bits into a USBPacket class. I missed to show the pen drive from the host point of view after having copied the file in the guest, but the “bbbb” file is full of “B”s. I’m on my way to emulating a USB device, i.e. make the guest think it has a USB device attached but the device is a program running on the guest. I basically copied the USB serial driver and the HID driver and modified them to get packets from a pipe and send them to a pipe. I had serious problems with QEmu: QEmu didn’t register my new “device”. Now I called the right function to initialize the USB device and voila, it attaches it like it should. Now I need to obtain valid USB communication using the filter so that I can respond to incoming packets properly. Dear lazyweb, I’m wondering whether I could make my OS load an application but then break on main() so that I can attach a debugger. I cannot run the application *with* GDB. Instead, I want to attach a GDB after the program is fully loaded. Maybe LD_PRELOADing on main() will work? But it fails because the directory is too big. But that doesn’t seem to work well, because the virtual machine just stops working. Attaching a debugger tells me that the qemu process basically stopped. Weird. 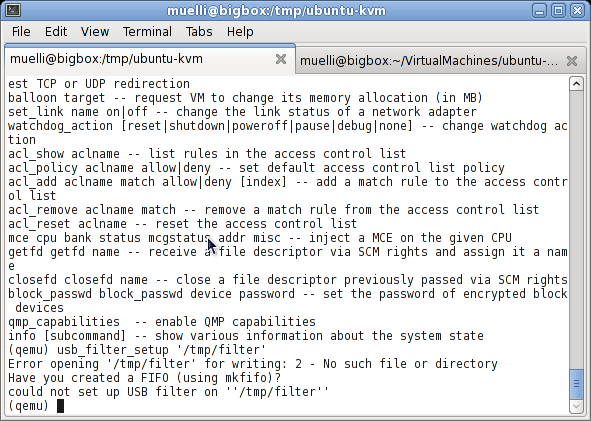 I basically followed these instructions but in order to make Eclipse index my Linux Kernel, I had to start it with ﻿-vmargs -Xmx1024M. But debugging the kernel is a bit hard because something with the protocol is weird. The suggested fix doesn’t help. ﻿QEmu wouldn’t install windows 7 x86_64, because of a “wrong CPU” type of error. Fortunately, the STOP codes are well documented. Trying to install it on x86 is not possible. I booted the ISO for two days without any success. Found a good overview of USB classes per Windows Version. The USB classes themselves are not very well documented though. But in fairness, I haven’t read the 600+ pages spec yet. gdb attached to a process crashed from eclipse. GDB also likes to crash if the remote server went down. QEmu crashes if given a wrong kernel image. Found Patents related to fuzzing, but Zotero won’t import those to my library. I had funny results with the filter: I replaced every “A” transmitted by a “B”. On the host, I created a file on a mass storage with 4KB “A”s. When “cat”ting the file from the guest, I saw “A”s. But copying the file in the guest resulted in the new file having all “B”s. I expected the “cat” showing all “B”s, too. And as far as I can see, the “A”s are actually replaced for the “cat”. Sorry for that video being so poorly embedded in this wordpress instance. You might want to try to download the video directly. So yeah, we can potentially filter USB packets by now, which allows us in-place fuzzing. But that’s cumbersome because we need to have a device attached to the host. So the goal must be to be able to do USB communication without a device being attached to the host but with a program that emulates the USB device in question. Oh, and these ioctls are not exported to Python I think. At least I couldn’t find the correct ioctl number for USBDEVFS_CLAIMINTERFACE without progamming a tiny C program to print it out for me. Trying to test anything with QEmu is a pain though: It t﻿akes ages to boot anything with QEmu without KVM It takes literally a whole night to boot into an Ubuntu installation CD. Again, a small summary of my last week. Filed a couple of bugs that annoyed me. My favourite: My main monitor dies randomly. Let’s hope it’s not a hardware issue. That’d seriously put me back. In fact, it’s quite cumbersome to reanimate my monitor in the middle of a working session… Oh. 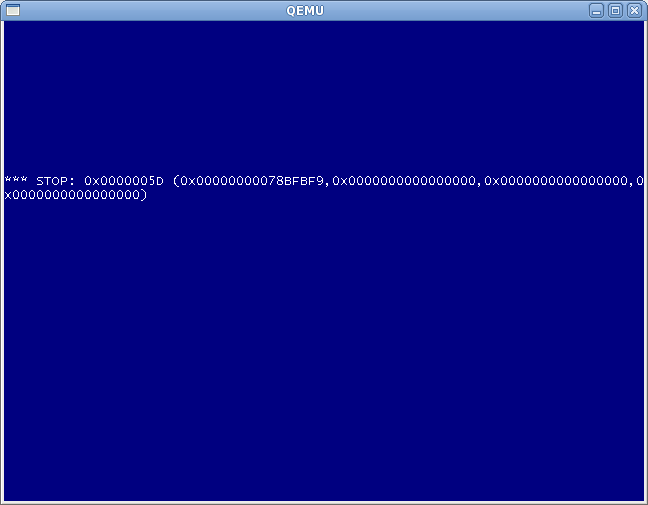 And qemu crashes That’s really unfortunate for me atm. ﻿Subscribed and quickly unsubscribed qemu-devel mailinglist. Way too noisy. Those low-level people don’t seem to like using bug tracker or smth like ReviewPad to submit patches. Very stressful. Everything returns -1 at this stage though. So the actual implementation still needs to be done. It literally takes a whole night for me to boot anything with qemu though That’s a real pain and I cannot work that way. My CPU is one of the few modern Intel CPUs that does not support hardware virtualisation I need to think of a solution. Our deadline is on 2010-08-20 and we are supposed to hand in 3 hard copies and one soft copy. I wondering whether I have to go back to Dublin to hand my hard copies in. So I figured that we are supposed to write a blog during our practicum phase. Here I am. I missed the first official week, which was right after the exams anyway. I doubt anybody was able to do anything after the Biometrics exam. The third week began with some administrative stuff (i.e. taxes and care about a grant). I also almost finished running GNOME Foundation Board of Directors elections: Preliminary Result. More work related: I tried to updated from Fedora 12 to Fedora 13 (to get latest QEmu and tools). Didn’t work (as expected) out of the box. Encountered (and reported) a couple of annoying bugs. My favourite: The update tool tries to mount /boot and swap. But /boot is left unclean because the preupgrade tool apparently does a hard reboot (i.e. w/o unmounting the filesystems properly). And swap can’t be found by the upgrade tool (for whatever reason). In both cases the installer just stops working and reboots the machine (sic! ), as opposed to just fsck /boot or continue w/o swap. Began to set up working environment: LaTeX Template, cloned qemu repository, looked a bit at QEmu code. Tried to install some Operating Systems to break. Microsoft didn’t let me. Filed two bugs against Zotero (my bibliography tool): One problem in fullscreen mode and one with proxied URLs. Went to a regulars’ table (for the first time after 9 month) and found out that one of them runs a company and they do USB security assessment atm. They are trying to make QEmu emulate a mass storage that returns a good file on the first read and a bad file (i.e. virus) on the second read. Sounded interesting, we’ll keep in touch and exchange details. Right now I’m missing kind of a plan for my work. I haven’t really structured my work or broken it up. So I’m trying to see how many weeks I actually have (I know that I’ll go at least to GUADEC, the annual GNOME conference, for one week. I might even be invited to GNOME.Asia in Taiwan…) and what I could possibly do in that time. I do have a high level idea of what needs to be done, i.e. I’ll try to have a roadmap by the beginning of the next week. Alright, I finally decided on my practicum subject. Together with my supervisor, we came up with the following exposé. I either wanted to do that or to do something in Mobile (Phone) OS security. 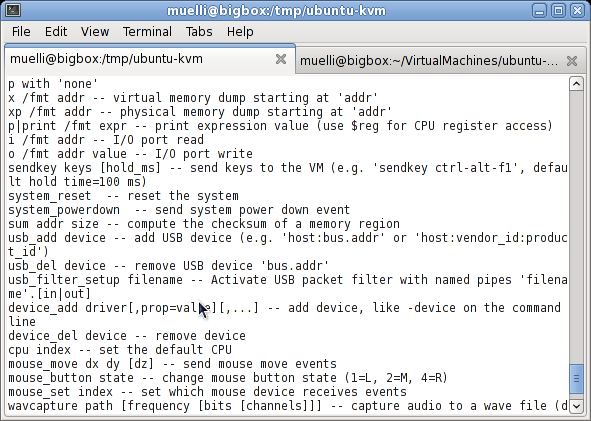 USB is omnipresent and so far, mostly Operating System behaviour has been exploited, i.e. automatically run an application off a CDROM. USB-Stack, USB-Driver or application security has not yet been in the focus of security research, probably because it is infeasible to create many USB test devices. If various USB behaviour could be implemented easily and cheaply, a great diversity of maliciously acting USB devices could be tested with little effort. The goal is to implement a USB fuzzing framework using a virtualisation software that allows to automatically test different USB behaviour to stress-test USB-Stacks, drivers and applications. While hardware approaches would be possible, a virtual approach using virtualisation software will be taken. That allows any guest Operating System, including Windows and Linux, to be tested, as well as cheap and quick creation of tests and reliable reproduction of the obtained results. How secure are USB stacks when it comes to weird devices? How resistant are drivers when specially crafted payload is sent? How good are applications that act upon a new USB device and read its data?